Transylvania is an unusual name and we get lots of questions about how we got it. It literally means "across the woods" in latin. We were named in the 1780s more than 100 years before Bram Stoker wrote Dracula in 1897. There were a number of failed fourteenth colonies in the US one of which was the Transylvania Colony founded in 1775. The short lived Transylvania Colony was founded by the Transylvania Land Company and existed south of the Kentucky River. Scholars have been unable to find any definitive link between the Transylvania Land Company and the naming of Transylvania Seminary, but certainly the name existed in the area. John Wright says in a footnote in Transylvania Tutor to the West, "We have no first hand evidence on this matter of the name of Transylvania. Robert Peter, Transylvania University: Its Origins Rise Decline and Fall, p. 14, surmises that it may have been the classical tradition that suggested the name." 1785 - First students take classes in David Rice's cabin near Harrod's Run between Danville and Fort Harrod. Rev. James Mitchell, first "Grammar Master." 1791 - Rev. James Moore appointed "Director" or the first acting President of Transylvania Seminary. 1793 - Gift of a lot in Lexington by the Transylvania Land Company which became the permanent location of Transylvania. 1796 - Kentucky Academy established by Kentucky Legislature; rivalry between Transylvania Seminary and Kentucky Academy ensues. 1799 - Kentucky Academy and Transylvania Seminary merged by consent of trustees of both institutions and Act of the General Assembly of Kentucky under the name Transylvania University. Consolidation was made under the original laws which governed Transylvania Seminary as enacted by the General Assembly of Virginia. See Wright p 30-32. See Littell's The statute law of Kentucky Vol.2 p.234. 1799 - Trustees institute Medical Department. 1799 - Law College established with appointment of Col. George Nicholas. 1817 - Degree of M. D. was first conferred. 1819 - Horace Holley appointed President. 1829 - The University Building is destroyed by fire. The fire destroyed much of the law library and the collections of the Union Philosophical and Whig societies. More than 1500 volumes went up in smoke along with papers. Much of the collection of scientific apparatus was saved. It sat on the south side of Third Street at the top of what is now known as Gratz Park. 1837-1851 Bacon College established in Georgetown, closes in Harrodsburg. 1858 Kentucky University established by legislative act in KY through amendments to the Bacon College charter. 1859-1864 Kentucky University does well in its first year but is decimated by the Civil War with only 14 students in its last year. Final nail in the coffin was the burning of the academic building in Harrodsburg. 1832 - Old Morrison is built on the north side of Third Street. Also known as the main academic building. 1839 - Medical Hall is built on the corner of Market and Church, according to Peter. There is a historical marker for the building on the corner of 2nd and Broadway. 1850 - Medical Department of TU offers classes in Louisville establishing the Kentucky School of Medicine. This eventually separates from Transylvania (1854?). 1858 - Law Department closes at TU. 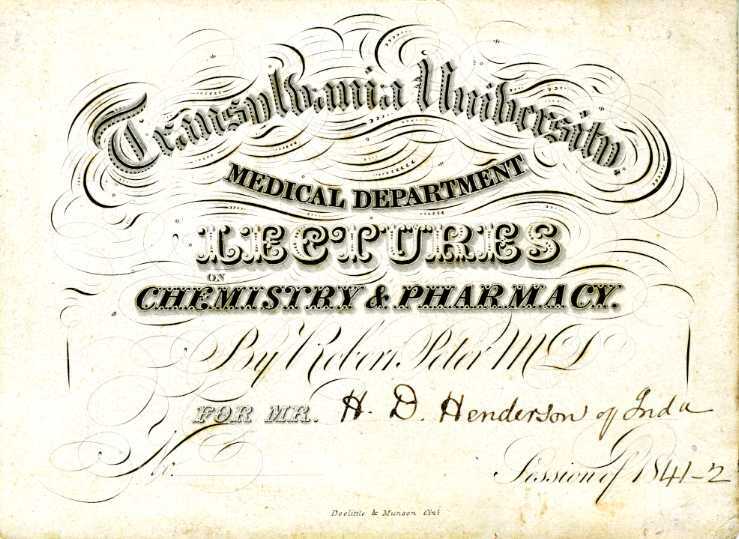 1859 - Medical Department closes at TU. 1858-1865 - Academic Department lingers as Transylvania High School. 1862 - Medical Hall and Morrison College (Old Morrison) used as Union hospital. 1866 - Agricultural and Mechanical College added to Kentucky University and classes offered. It is based on the grounds of Ashland (Henry Clay's estate) and Woodlands Estate. 1878 - College of the Bible is chartered as an independent institution. Separates from Kentucky University. From 1912-1938(?) it shares facilities and presidents with Transylvania. Eventually becomes Lexington Theological Seminary in 1965. 1878 - KY Legislature also severs A&M College and renames it State College. 1889 - Kentucky University becomes major stockholder in Hamilton Female College. 1889 - Twenty-seven women matriculate into Kentucky University. 1902 - The preparatory Academy begins to phase out. Finally closes in 1915 at the start of WWI. 1903 - Kentucky University assumes control over Hamilton College making in a junior college for women. Hamilton College was originally established in 1869 as Hocker Female College. Changed name to Hamilton Female College in 1877. Many women from Hamilton College transferred to Kentucky University for the A.B. degree after their two years at Hamilton. See Wright pp. 275-276. 1908 - A&M College renamed State University and officially becomes University of Kentucky in 1916. Because of the changing name (State University of Kentucky) and confusion that might ensue, Kentucky University changes its name back to Transylvania University. See Wright pp. 314-316. 1911 - Alma mater song, "Hail, Transylvania!" acquired. See Wright p. 330. 1914 - Transylvania acquires the property of McLean College located in Hopkinsville, Kentucky. TU subdivides the property into house lots and sells them. McLean College was founded as South Kentucky Institute in Hopkinsville in 1849. Originally established as a finishing school for girls with close ties to the Christian Church, it became South Kentucky College in the late 1850s. In 1880 the college's charter was amended to allow the admission of men and the name was changed to South Kentucky College. It was renamed McLean College in 1908. Following a fire in 1912 the school was rebuilt exhausting the resources of the college and its benefactors. As a result of the financial situation and declining enrollment all McLean College property was acquired by Transylvania University in January 1914. See Wright p. 330 and description of McLean College Finding Aid in TU archives. 1915 - Old College Lot formally given over to the city of Lexington to become Gratz Park. See Wright p. 319.